NEW YORK (KTRK) -- The NFL is making plans to speed up the pace of games, including changing how video replays are handled and using a time clock for extra points. In a letter to fans, Commissioner Roger Goodell addressed the concerns from fans in two areas: the flow of the game and number of unnecessary disruptions to the game on the field. 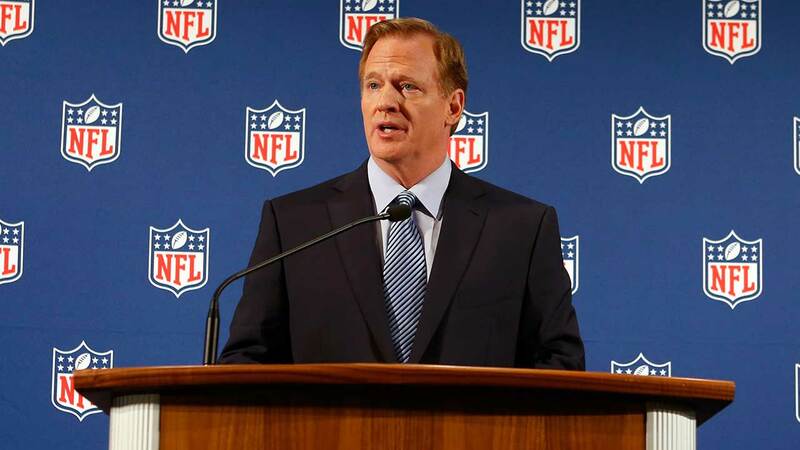 "On the football side, there are a number of changes we are making to the mechanics and rules of the game to maintain excitement and also improve the consistency of our officiating," Goodell wrote. The league also is discussing with the TV networks how to make commercial breaks less intrusive. For officiating replays, the referee no longer would go under a hood to watch a play. Instead, a tablet will be brought to him on the field and he will consult with league headquarters in New York. The final call will be made in New York. Support by 75 percent of the 32 team owners would be needed at next week's annual meetings for passage of the proposal. In addition to a time clock for PATs when there is no TV break, the league is considering instituting a play clock after a touchdown. Also, to improve the flow of games on the field and for television audiences, commercial breaks would be reduced from 21 per game to 16, although each would last 30 seconds longer.